For the aviation enthusiast looking forward to learning the art of flying, there are some certifications one must acquire along with some added requirements. A list of the pilot certifications or licenses are detailed below. These are, however, not to be confused with endorsements or pilot ratings, which are the additions a pilot may get himself/herself acquainted with. Private Pilot certification is the most common certification that one might come across. These pilots are allowed to fly at night unlike with some other certifications. These pilots go through intense trainings and have the ability to fly any aircraft within the category allowed for them. However, private pilots are not allowed to fly as commercial pilots, nor are they allowed to compensate for pilot services. But they have opened the door for a number of opportunities one might have not envisioned before. For this certification, one must undergo at least 20 hours of flying with an instructor and another 20 hours without an instructor. If you are considering flying an airplane as a means of livelihood, airline transport pilot certification will provide you with such an opportunity. This certification is for people desiring to fly commercial airlines. Though, not a simple procedure, the ones who make it, have endless opportunities in short hauls and long hauls as well as a decent earning potential. An eligible ATP certified pilot would have to undergo a minimum of 1500 hours of flight time, and must be at least 23 years old. In case of a restricted ATP, where the requirements are not as high, military pilots are allowed to apply. For folks looking for certificates as a pilot, a sports pilot certification might suffice. This pilot certification has the least amount of restrictions. Sports pilots have the opportunity of flying in low altitudes within a local area though in a light aircraft only. These pilots are, however, allowed to fly only during the day and are constrained to one passenger only. 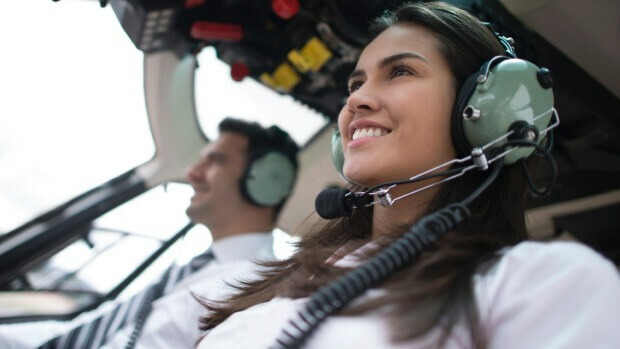 Among the many benefits one may experience, only 20 hours of training (and no requirement of a FAA medical certificate) are the prominent ones. Having a commercial pilot certification qualifies one to be a professionally paid pilot. The commercial pilots are required to abide by the rules of federal aviation in regulation with flying operations. A commercial pilot’s job involves flying complex aircraft. With the advent of the sports pilot certification, recreational pilot certification has been subsequently reduced. It still holds a reputation owing to the fact that pilots with this certificate are allowed to handle heavy aircraft which is not an option for those with sports pilot certifications. So it is basically for those looking for an advanced training above sports aviation but below the bar of commercial aviation. This certificate requires a minimum of 30 hours of flying time. Like the sports pilots, recreational pilots are allowed to fly only during the day and cannot travel beyond 50 miles of the airport wherein their aircraft departed from.